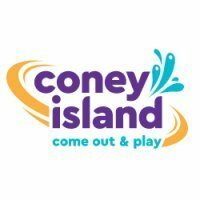 Today, June 21st marks Coney Island`s 124th birthday. The park officially opened on June 21st, 1886 as Ohio Grove: The Coney Island of the West. The following year, the Ohio Grove name was dropped and the park was simply known as Coney Island. For a brief period of time (1976-1984), the park was renamed "Old Coney" so as not to confuse people with Kings Island. The park has been owned by its current owners since 1991. Next year, the park will turn 125 (and the time capsule that was put in place in front of Moonlite Gardens on the 100th birthday will be opened). So true, Just like KI I will always calls rides by names I knew them as. I need to make another trip to CI. Haha yeah there's a coney island on every corner in Detroit. I saw no less than 20 of them when I visited Detroit 2 years ago. I missed this anniversary. Last year I went on the 123rd anniversary and that was the same day I met CoastersRZ. I want to go on the 125th anniversary so I can see what's in the time capsule. happy 124, to a wonderfully huge 125th and a countdown to the 150th!! What will you be like next year? and by 150th! Today is m 1 year KIC birthday!